Cattle slaughter remained relatively strong in June, and this flowed through to export, which, while being down on May were still at their second highest level for the year. China maintained it’s very strong demand for frozen beef, helping keep export prices elevated despite cheaper cattle prices. 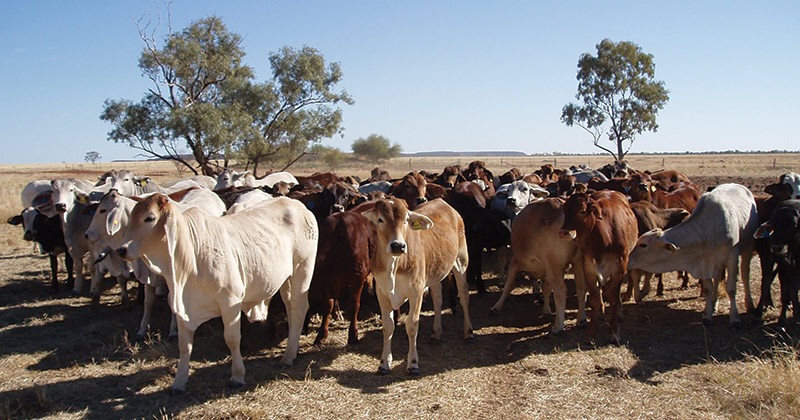 Australian beef exports fell 8% in June, but this was from a two and a half year high. As such, June was the second highest beef export month since the end of 2015. At just over 101,000 tonnes, beef exports were just above the five-year average and 7% higher than last June. It appears that in manufacturing beef, China and the US are competing strongly. Figure 2 shows that exports to China only fell 4% and managed to post a 71% increase on June 2017. Exports to the US were down 3% in May and 10% on June last year. Increasing US beef production and increasing Chinese demand has seen less beef heading to our second biggest market. Indonesia is another market competing for lower value frozen beef. Beef exports to Indonesia in June were up 63% on last year while being down 17% on May at 6,672 tonnes. Indonesia is now our fifth largest export market. In higher value beef export markets Japan continues to dominate. Chilled beef exports to Japan totalled 10,839 tonnes, accounting for 45% of total chilled beef. Chilled beef exports to the US continue to rise, with demand for grassfed beef continuing to improve. The US took 23% of our chilled beef exports, while South Korea accounted for 11%. Traditionally Japan, the US and South Korea would have accounted for 90% of total beef exports, but market diversification has seen smaller markets taking more beef. Figure 3 shows the range of markets we have exported to in 2018, which is good for competition, demand and prices. There is still plenty of demand for Aussie beef, with the weaker Aussie dollar obviously helping us compete with US beef in higher value markets and making our beef cheaper in the US. The solid export market is helping support cattle prices in the face of dry weather and the strongest supply in three years.